Who Does Childish Gambino Think He Is? This morning, Donald “Childish Gambino” Glover dropped a new mixtape hosted by Gangsta Grillz/DJ Drama titled Stone Mountain. It’s… not horrible, but it’s also not very good. From the opening line “I had a dream I ran Atlanta” to the jacking of popular beats to songs like “Money Baby”, “Move That Dope” and “Go DJ” , it’s another exercise in Gambino trying too hard to prove something. Some of the songs sound good, some don’t, DJ Drama feels awkward and shoved in and at no point do you believe in anything being said on this record. Childish Gambino is a rapper that seems permanently on the cusp of puberty. He gives you enough flashes to believe that there’s a great musician hiding there but those flashes come out inconsistently enough to ever really enjoy him as an artist. The last song on BTI, “The Biggest Troll”, includes Gambino in a moment of quivering, naked emotion whispers “I don’t know who I am anymore” and it’s an easy thing to believe when all of his songs reveal that same truth. 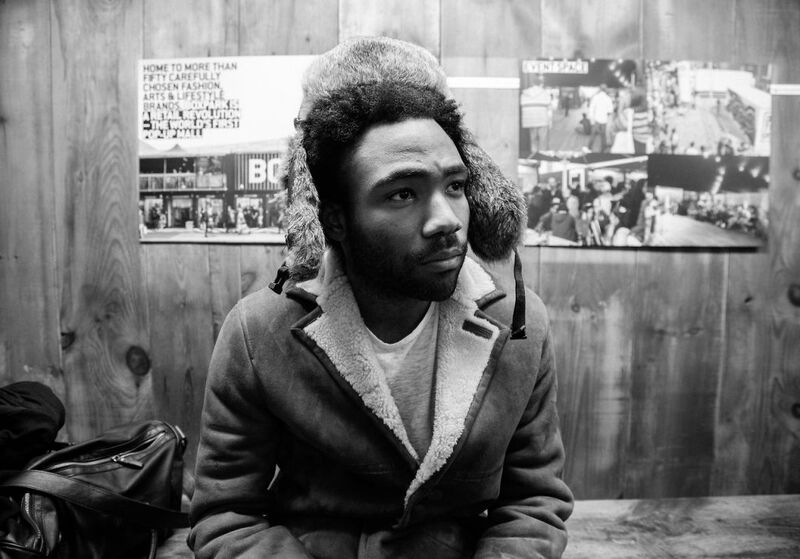 One of the things that drew me to Gambino was his lost and depressed rap persona. As a lost depressed adult myself, I could appreciate someone who reminded me of my own feelings. I saw myself in him but, the one thing that acted as a deterrence for me has been how in flux he always seems on record. As an artist, if you can only accomplish one thing I would hope that thing is knowledge of self. More than not knowing who he is, Gambino doesn’t seem to know who he wants to be. It’s clear from his tweets and his interviews that he cares a lot about what people think of him and it bothers him the way people question his blackness. These are understandable concerns but at a certain point if you let everyone else tell you who to be you’ll become nothing. I listened to Gambino’s Kauai EP. I enjoyed it for the most part even though a couple of the songs were a bit soggy. Gambino feels the most at home when he’s singing. You can hear his vulnerability and bare soul, while his raps feel like a mask put on to make himself more comfortable around other people. I’d like to here the vulnerable Gambino more: it’s a shame that he feels the need to posture and present himself as tougher than he is. It’s understandable though–rap was built on that sort of posturing–not everyone is believable at it though. I’ve dealt with depression for most of my life. It’s a disease that seeps inside of you and takes over; you begin to believe that everything you are is wrong and negative and you cling to anything that will confirm the opposite. Everything I’ve read about and listened to from Gambino tells me that he’s cling to an idea of him being something worthwhile–anything but himself. As an artist, my hope is that he can get a better grip of who he is and make music that feels full and engaging. As his BTI tour has proven, he’s a huge artist with a huge fanbase. He doesn’t need me or any other blogger to tell him how to be. Despite that, I can see him and hear his music and know his truth. He’s still looking for himself as an artist and until he embraces this fact, he’ll always be in flux. At the end of Camp he talks about how he never got off the bus, maybe it’s time for him to make that first step out.